R.S. 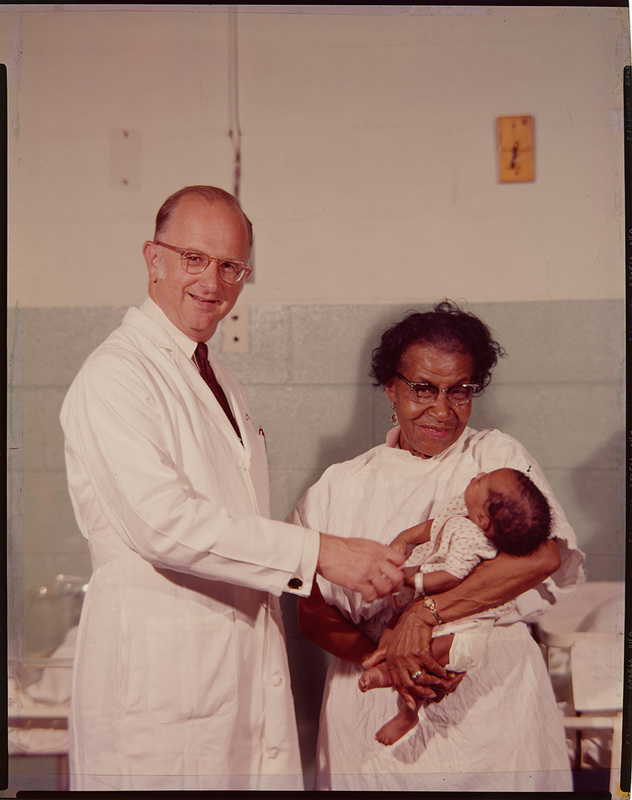 Mendelsohn wearing a laboratory coat in a maternity ward room, standing to the right of a woman in glasses who is holding a baby. Dr. Mendelsohn appears to be holding the baby’s hand.